Not a fan of lunch with just ladies. Have to dress up. Makeup. Pink tablecloths. Perfume-permeated rooms. Boring menus. Power business lunches used to be de rigueur. With women. And men. That was fun. When I was young. There I said it. Hate shopping, too. However, 150 years ago women couldn’t go out to lunch unaccompanied by a man. Right, Mike Pence? Until Delmonico’s held a luncheon for women in 1868. This week Gabrielle Hamilton has created a menu to commemorate this milestone at Delmonico’s for a Ladies’ Lunch. Nice. But. No. Won’t be going. Lots of great communications with family and friends. Good presents, too. 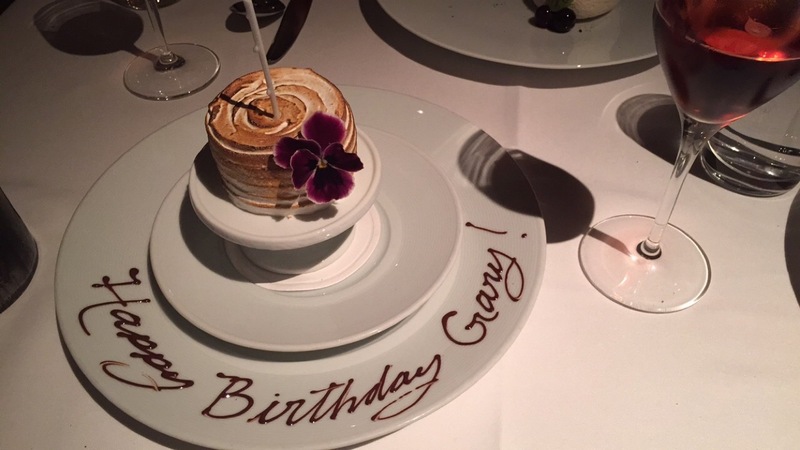 Especially extended time with mAdBen and Dr.Husband for another delectable dining experience at Gramercy Tavern. Small business loan notwithstanding. It’s always worth the investment. Tiger topped the leaderboard. Sam told Real Jason she loved him. Birthday perfection. Proof of collusion. 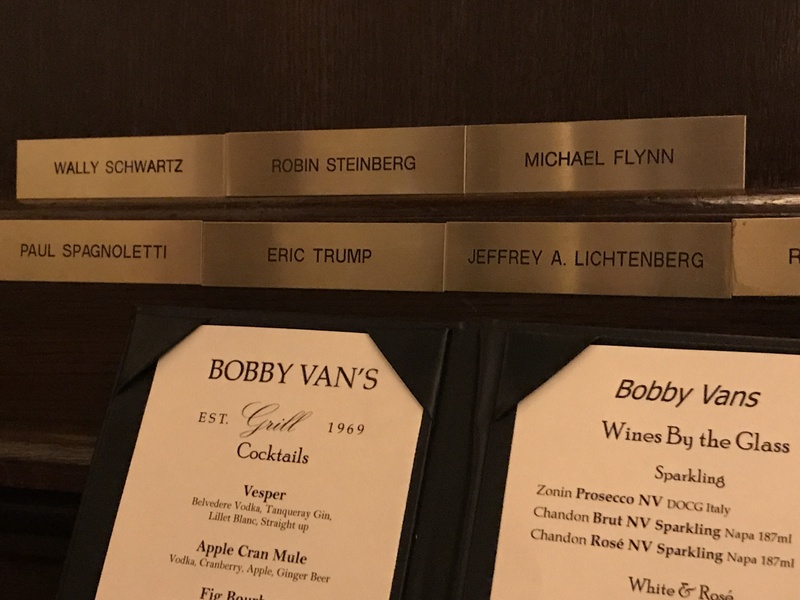 Corner table at Bobby Van’s. Eric Trump and Michael Flynn. 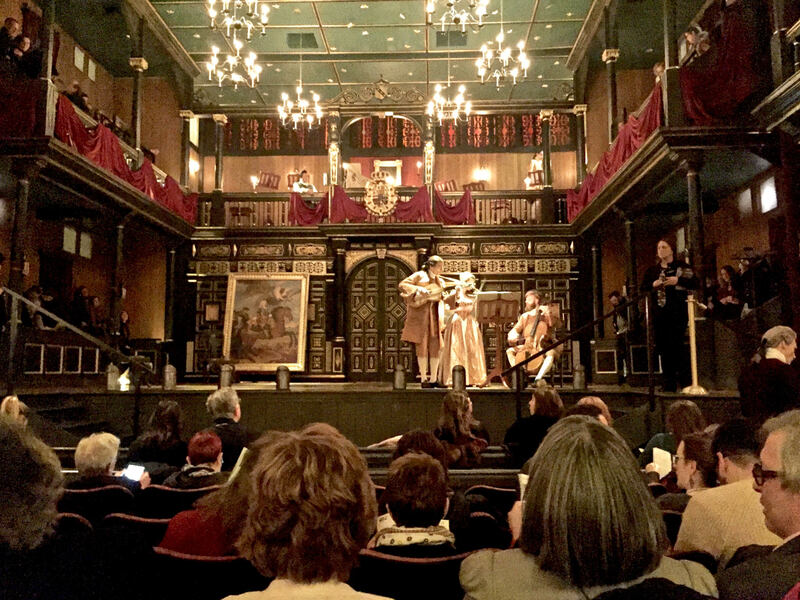 Farinelli & the King at the transformed to Shakespearean splendor Belasco Theatre. Mark Rylance brilliant! His wife Claire van Kampen’s musical script and the astonishing countertenor voice of Iestyn Davies took it over the top. Five stars. Sightings… Kathleen Turner a couple rows ahead. 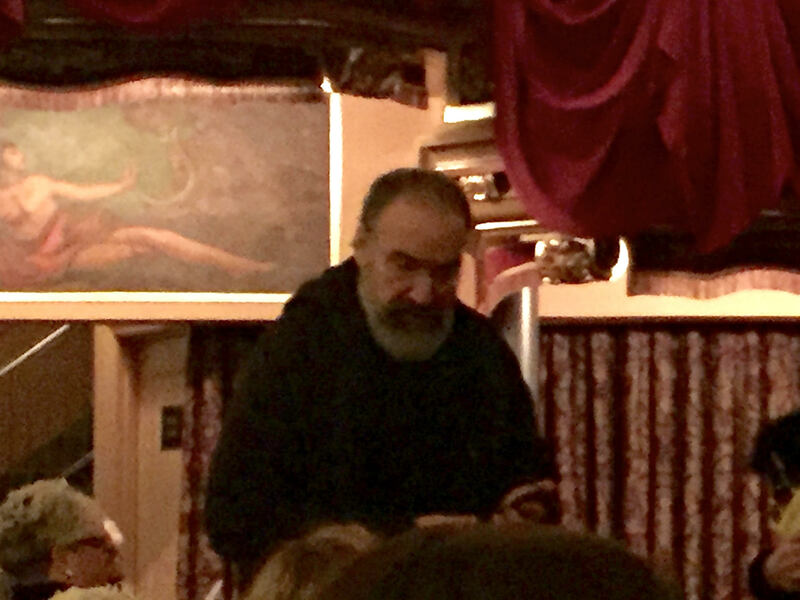 And Mandy Patinkin. 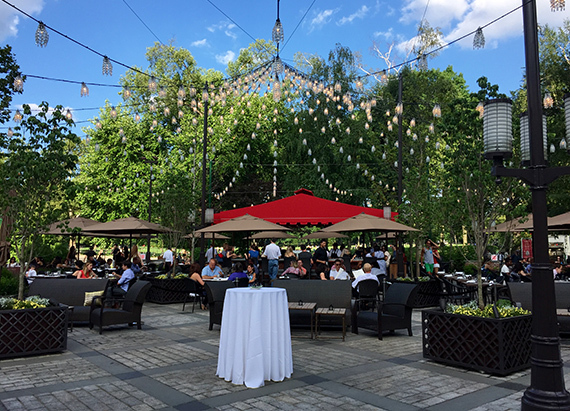 Brunch at Tavern on the Green’s outside garden was excellent last week. On a balmy beautiful Saturday. Eggs Benedict perfect. Dining al fresco with friends in late October. A rare treat. For our Fall sojourn to Gramercy Tavern, to celebrate Dr.Husband’s birthday, we enjoyed another parade of delicious masterful creative blends of tastes. Marinated Scallop, Yellowfin Tuna, Watermelon; Lobster, Peaches, Pickled Peppers, Basil; Cod, Zucchini, Poll Beans, Dill; Squid Ink Lumache, Rock Shrimp, Mint, Sungold Tomatoes; Wagyu Beef from Vermont? !, Cabbage, Cauliflower, Grapes; Caramel Pears, Toffee Sauce, Walnuts, Cheddar Ice Cream. And Harbes‘ Farm Stand on the North Fork in Mattituck, Long Island has even better Apple Cider Donuts than Atkins Country Market in Amherst, Massachusetts! Hard to believe. Beach reads not even worth the reviews. Chick lit lite. At best. The Heirs, Susan Rieger. A superficial soap opera with implausible scenarios. Ditto. The Arrangement, Sarah Dunn. You guessed it. A couple with an autistic boy decides to set ground rules for cheating on each other for six months. Of course. It all goes wrong. Syrupy in the end. Ray Donovan. This season better get better. Fast. Devolved into maudlin slow episodes. Last week of GOT. No! Good thing it’s gorgeous weather. Tavern on the Green patio. Or. Bringing our own chairs to watch eclipse, read, have lunch in the park. Yes! Definitely not doing a spinning class. All Soul’s Day. Dr. Husband’s Happy Birthday! So. 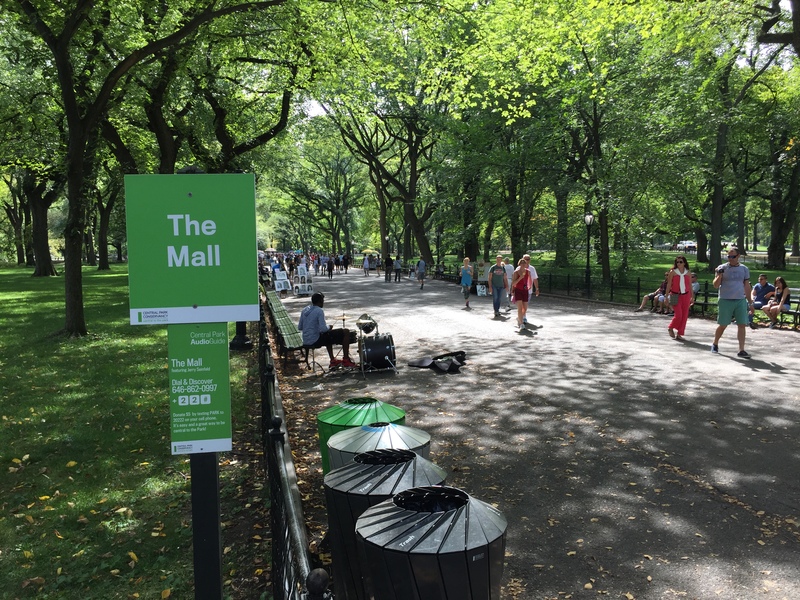 Maybe a long walk around “Our Lake” in Central Park. To shed Gramercy Tavern cake. 80-degree Tuesday in October. Central Park packed like a summer weekend. Cocktails at Tavern on the Green’s outside bar. Crowded there, too. Diversionary relief for TTSD. And. On any given day. This is the only Mall you’ll ever find me in.